One of the biggest challenges facing the new legal marijuana industry comes down to money: now that businesses in certain states have gotten the go ahead to sell weed, many of them are stuck in a tough spot when it comes to actually dealing payments for their products, since the drug is still illegal under federal law. A group of senators is seeking to change that, introducing a bill that would take the heat off legal marijuana operations and give them access to banking services. The Marijuana Businesses Access to Banking Act of 2015 introduced by Oregon’s Sen. Jeff Merkley and Sen. Ron Wyden, Colorado’s Sen. Michael Bennet and Washington’s Sen. Patty Murray piggybacks on a previous bill of that name introduced in the House in April by Rep. Ed Perimutter of Colorado. 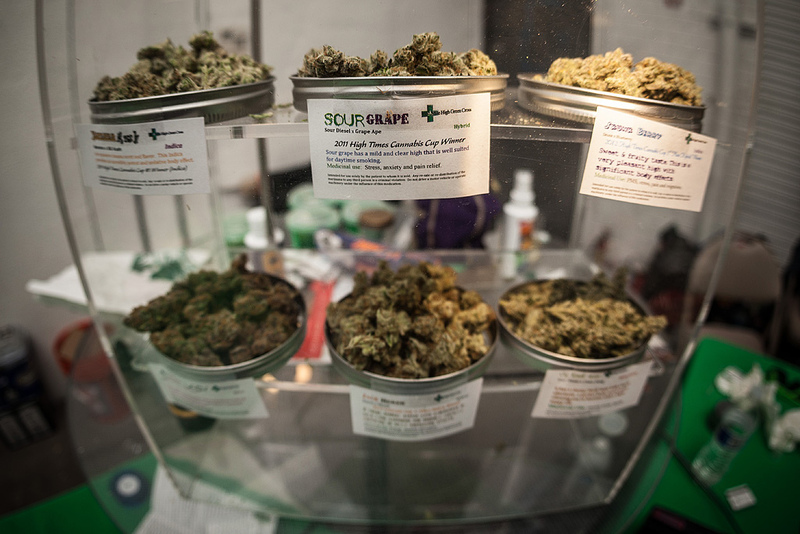 The situation is tricky for marijuana business operating under state laws that have legalized marijuana, either for medical or recreational purposes, as it’s still illegal to peddle pot under federal law. And though the federal government previously released guidelines for banks and financial institutions that may do business with marijuana businesses, many still don’t have access to things like credit cards or bank accounts. That means they’re forced to do business on a cash-only basis, which can be a safety risk. It’s also harder to pay taxes that way — something states definitely have an interest in. The bill would create a safe harbor from criminal prosecution and liability and asset forfeiture for banks that provide financial services to legitimate, state-sanctioned pot operations. Banks can still choose not to offer those services, however. • Taking any action on a loan to an owner or operator of a marijuana-related business.